For those wondering whether my recent reviewing inactivity meant I wasn't watching or at least following the films embroiled in this year's Oscar race, it's time to put that theory to bed. I have been and will pretty soon be publishing a single post rundown of at least four of them to avoid things backing up any further. 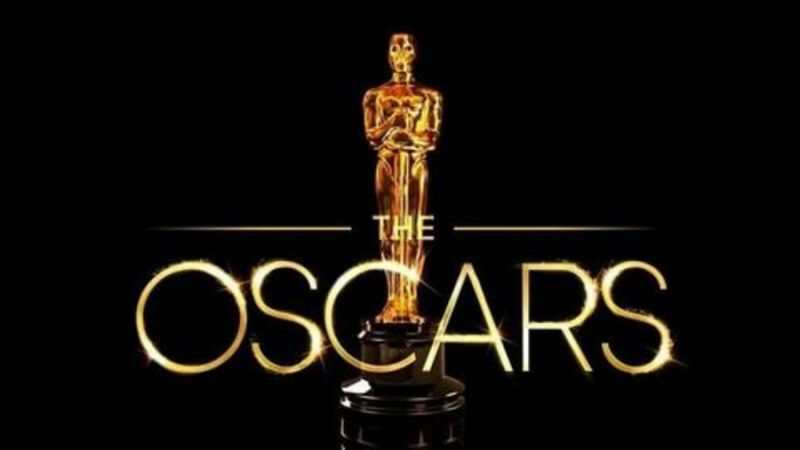 As for Tuesday morning's announcement of the nominations for the 91st Annual Academy Awards (full list here) by Kumail Nanjiani and Tracee Ellis Ross, it went well. Or at least better than last year's farce with every other nominee's name being misprounced by a popular comic actress. While the format was almost too laid back and missing the big press conference atmosphere, both were pros who appeared to enjoy being there doing it. So, considering the Academy's recently abandoned attempt at a "Popular Film" category and having no present host for the show, the nominations basically went off without a hitch. - Netflix's Roma and arthouse, um, favorite, The Favourite lead the field with 10 noms a piece and are joined in the Best Picture category by the more popular entries Black Panther, BlacKkKlansman, Bohemian Rhapsody, Green Book, A Star is Born and Vice. We get an 8 film field this year. -Barry Jenkins' If Beale Street Could Talk and Damien Chazelle's First Man are left out of the Best Picture race, denying us a rematch between the Moonlight and La La Land directors. In the case of the former, it just couldn't pick up enough steam throughout the season outside of Regina King's supporting performance, while First Man was darker and more introspective than anyone expected from a film about Neil Armstrong. On the plus side, it did well in the technical categories and is still highly regarded by many, if not the Academy. Predicted Gosling snub aside, it even failed to snag a supporting nod for Claire Foy. -What happened to A Star is Born? A month ago it was a lock for EVERYTHING. Now, compared to those (unreasonably?) high expectations, it may as well be considered an awards flop. Plenty of think pieces will surely be written about what went wrong, but Bradley Cooper snubbed for Director? The saddest part is that it isn't even much of a surprise given he hasn't won anything up to this point. While it's hard to call any movie's 8 nomination tally disappointing, Cooper and Gaga look very shaky in their categories and previous sure bet Sam Elliott is quickly losing traction to Green Book's Mahershala Ali in Supporting. The film's expected triumph in Best Original Song with "Shallow" just might be its sole win, assuming that isn't also now in jeopardy. -Marvel's Black Panther (with its over $1 billion worldwide box office take) becomes the first superhero movie nominated for Best Picture, thus opening the flood gates. Or maybe not. If the quality's there, then fine. But I can't be the only one who's a little nervous they'll start nominating lesser ones. Or, after getting this out of their system, wait years before rewarding another again? Regardless of how many statues it takes home, it has changed the game. -Bohemian Rhapsody's continued dominance (with 5 nominations) is the biggest movie story of the past year, especially if you know how troubled that entire production was and the road it took to even get to the screen, and successfully no less. Even if we're still not completely sure who directed it. But good for Rami Malek. I'm sure few thought he'd be in this spot right now competing against Vice's Chistian Bale as a frontrunner for Best Actor. -No slight on him but Willem Dafoe (At Eternity's Gate) clearly got the underdog Best Actor spot so many hoped would go to Ethan Hawke for his critically lauded, career best work as an emotionally tormented minister in First Reformed. Instead, we'll have to settle for a first time Original Screenplay nod for Taxi Driver writer Paul Schrader, suddenly the comeback kid at age 72. -No supporting or lead nominations for both Timothee Chamalet (Beautiful Boy) or John David Washington (BlacKkKlansman), respectively. But something had to give. There are so many slots and and a certain number of performances that can fill them. Many get left out, and it's rarely a reflection on the work. These are two unfortunate examples of such a casualty. -Glenn Close has Best Actress locked up, with Lady Gaga, Roma's Yalitza Aparicio, The Favourite's Oliva Colman and Can You Ever Forgive Me? 's Melissa McCarthy sure to be clapping on the sidelines when she wins her career achievement award. It's a narative that's only begun to come into view in recent weeks, with The Wife gaining serious momentum thanks to her rousing acceptance speeches. Is Emily Blunt's ommisson for Mary Poppins Returns really that much of a surprise? Given the Academy's tastes, it may be. And Elsie Fisher getting recognized for Eighth Grade was always a pie-in-the-sky longshot, mostly due to their aversion to nominating kids in lead categories. -Spike Lee is finally nominated for Best Director for one of his most commericial and challenging pictures yet, BlacKkKlansman. Except it's starting to feel like 1989 all over again with Peter Farrelly's crowd pleasing race relations drama Green Book playing the Driving Miss Daisy to Lee's Do The Right Thing in the Best Picture Race. With its recent PGA win, it really might be the frontrunner, save for the fact that Farrelly himself isn't nominated. Was recognizing the filmmaker behind Dumb and Dumber and There's Something About Mary too far a bridge for the Academy to cross? More likely, Green Book just seems like less of a director's achievement than the competition. -They sure do love the polarizing Vice, with Adam McKay sneaking in with a mild surprise nod. Roma's Alfonso Cuarón and Cold War's Pawel Pawlikowski (unseating Cooper in the only real "shocker") become the first pair of directors of foreign language pictures to make the cut in this category, and both for black and white lensed films. -No documentary nomination for Won't You Be My Neighbor? has to be the most egregious snub of this year's nominations. Hands down. We know they have a history of crazy decisions in this category, but there's just simply no excuse here. The outrage is justified. -Heading into the show it seems to be a 3-way race between Roma, Green Book and, to a slightly lesser extent, Bohemian Rhapsody. Of course, we also know how that could change.